Why all those tiny venues in small towns? Galway is maybe just yet normal to play in, but Killarney and Omagh for example are very tiny places, not even real cities. And of all venues in Belgium he plays in one of the smallest ones and it is an all seater on top of that. Is this an indication he wants shows to be more intimate or cosy, maybe acoustic like? No dates in Eastern Europe If I am still in CZ by then, I guess Berlin would be the closest to me and I know the Columbiahalle very well, but Berlin is a "been there, done that" thing. Well, let's see if I have the cash for a small travel by then, if needed I can always go to Bremen or Copenhagen or so I guess. I can only say one thing: in Europe he has chosen some extremely odd locations and venues, as if he wants it to be a tour with as many small venues as possible and with hardly any venue of some respectable size. Which, for a singer of his status and with his large fanbase, is very odd. But well, he will have his reasons for it I guess. He isn't even coming to California? What??? It is a weird tour. He plays in so many small venues and small towns. I mean, Omagh, seriously?? That place probably never saw a rock musician in real other than some local boys playing in their local bar. Who chose those places and venues? I can only say the choice of venues in Europe is as odd as the cities he skips in the States. Would Moz be tired of the big venues and festivals and look for something different, like a new approach and a more intimate place (even when this means less people will be exposed to his live performance)??? Salisbury? That is weird. It is a very small place. The current programme for the Salisbury City Hall includes Bjorn Again (ABBA tribute band), Andy Abrahams (3rd or 4th placed on the X-Factor about three years ago) and . Personally, I'd much prefer seeing The Mozz in a small venue. In a way, the small venues might reflect his feelings about bigger things (his career, his belief about music itself, where he finds inspiration, etc.)? If I were in his shoes, I might think I, too, would prefer smaller venues. Just a thought. Well, from the sole professional musician I know who tours internationally (I know a few other musicians personally as well but they only tour more locally) touring is exhausting and doesn't earn you anything. Most incoming cash is taken by booking agents, management, etc and the artist only gets peanuts unless the merchandising sells a lot. Touring is exhausting work and unthankful work with limited financial gains. If you then also tour in small venues where less people can attend your shows, then obviously your incomes will be close to nothing. 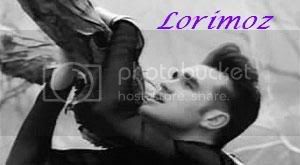 But maybe Morrissey is at a stage of his career where he can afford to not think of the money and do the tours exactly the way he wishes to do them, in which case I would probably also opt to visit some less often visited locations with small venues. I mean, when else do you travel to Dunedin, Tampere, Odense or Omagh?